Like many of the “baby boomers”, talk about an oxymoron because I feel anything other than babyish man age is a …., Elvis Presley made new records – toured throughout the United States – had movies that first ran in theatres and then on TV (yes we had THREE total TV stations growing up and everyone of them cut off at 11pm – those were the days) – and his music played on radio stations. Inasmuch as I have a great knowledge, and affinity, for Elvis Presley the person (disclaimer – as much as you can learn from studying something for 6 decades with an emphasis on first had sources) Elvis was “lightning in a bottle” onstage. Man he didn’t sound like nobody. He didn’t move like anybody. He didn’t walk like anybody. He didn’t look like anybody. He didn’t sing like anybody. He wasn’t raised like anybody. He was Elvis and he was wholly unique. Throughout Elvis’ school years he went to dances/proms but never danced. He told his dates “I don’t like to dance and/or I can’t dance”. Since he was Elvis, even then, I think he could have said anything and the dance/prom would have been thrilling/enjoyable for his dates. And yet onstage he moved with passion. With rhythm With grace, With melody. He moved and his voice sounded as good if not better live than his recordings. Another rare charistic. This day is Elvis’ 81st birthday. My prayers go out to Lisa Marie, Graceland, Marty Lacker, Billy Smith, Red West, Sonny West, Sandie Kaye Stevens, Sandi Pichon, Joe Esposito, Jerry Schilling, and all of his loved ones and relatives for they shared their lives with Elvis as well as hopes and dreams. They, as did their families, rode the waves of Elvis’ greatest successes – his setbacks – his mood swings – his fears, etc. There is a true sacrifice, on many levels that last a lifetime, even when it comes to Elvis Presley. My prayers go out to the loved ones, friends of, relatives of, those who knew Elvis and have (sadly) passed away. Out of respect we have honored them by name on our site http://www.ElvisCollector.info but their contribution to Elvis’ life, and that of his fans, is as alive today as it was when Elvis breathed upon this earth. If you want to know about Elvis you can watch many of his candid interviews, concerts, TV appearances, etc. One of my favorites is Elvis That’s The Way It Is followed by Elvis’ 1968 Singer TV Special entitled “Elvis”. If you want to learn about the complicated and multi talented man I highly recommend seeking out, and supporting, these people: Marty Lacker, Billy Smith, Red West, Sonny West, Sandi Pichon, Sandie Kaye Stevens, Joe Esposito, Jerry Schilling, and the author of several exemplary books about Elvis by Alanna Nash. There are also some great Elvis Presley websites, many are listed on our site http://www.ElvisCollector.info under the “links” page, and include Phil Arnold at http://www.Elvisblog.net and Russ Howe who knew Elvis personally and has been apart of many successful endeavors about Elvis. As I end this post I am thankful to everyone who takes the time to visit this blog and our affiliated sites as well as our Officially recognized by Graceland Elvis Presley Fan Club of Elvis Collector Worldwide Fan Club. As much as I know about Elvis it is nothing compared to the multi-talented and diametrical strong presence named Elvis Presley onstage and off. But I have enjoyed his music since I was a child and I share my insights herein. 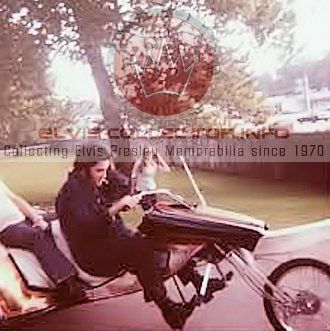 On behalf of this blog, and a few of our Elvis Presley websites being http://www.ElvisCollector.info & http://www.ElvisCollectorWorldwide.freeforums.org, we wanted to wish each member, and their family/loved ones, of Elvis Presley’s Memphis Mafia a great labor day weekend. We will always have respect, admiration, and appreciation to; Marty Lacker, Red West, Sonny West, Billy Smith, Joe Esposito, Jerry Schilling and (who passed away but will never be forgotten) Lamar Fike. To those who are unfamiliar with these men, individually or collectively, we encourage you to seek out, support, etc. the; books, articles, interviews, youtube videos, etc.. Each one was a true friend, some for decades, of Elvis Presley and shared his; life, hopes, dreams, ups and downs, etc.. Elvis trusted these men as they were firsthand witness to the life of Elvis Presley onstage and off. They are integral assets to the life, onstage and off, of Elvis Presley. They sacrificed relationships, time, etc. in order to assist Elvis both as co-workers and as friends. If you haven’t already, and want to learn more facts/context about Elvis, we encourage you to read the books authored by Alanna Nash, Sandi Pichon, Betty Harper, and Sandie Stevens. This scene, which starts right after Elvis puts a coin in the jukebox, is nothing but RAW talent. From the style of singing, to the movements, to the (at the same time) graceful and masculine expressions. Please watch this scene, especially starting from the TWO MINUTE mark, and let me know your comments afterward. Loving You was a great movie for Elvis but (sadly) he would not watch this movie after his beloved Mother (i.e. Gladys Love Smith Presley) died on August 14, 1958 as she appeared in another scene in this movie clapping her hands while Elvis sang and danced (note: in blue jeans which he hated as he said “growing up blue jeans and overalls was all we had. Man once I had made a few dollars I said never again with them blue jeans. Flashy clothes onstage, as flashy as I can get em. Off stage I like nice clothes, clothes that fit, but I leave that flashy stuff for the stage otherwise they could stay home and listen to my records”). She was part of the crowd scene and is noticeable, you have to look close and quick, on the right hand side (watching the film) in a hat lovingly watching her son. Even after these (approximately) FIFTY FIVE years since Elvis performed this song/dance in Loving You it stands the test of time and it was…all Elvis. To find other interesting facts about Elvis, when you are not following my blogs (which I am TRULY THANKFUL TO YOU FOR) and/or visiting our websites, please check out books by; Alanna Nash, Marty Lacker, Joe Esposito, Sandi Pichon, Sonny West, Red West, Billy Smith, Lamar Fike, Jerry Schilling, Paul Litcher, Russ Howe, etc. I HIGHLY RECOMMEND these authors, individually and collectively, and I am thankful for all of their; time, talents, passions, opinions, recollections, etc. concerning the life of the greatest entertainer who ever lived…Elvis Aron Presley. 35 years ago, and 1 day, you lost your Father and no one will ever know the pains you have had to endure/bear all these years. Throughout the years I have seen a constant division between certain family members, and members of the Memphis Mafia, and EPE. This was a topic and I routinely discussed with my friend, who (sadly) died before his time, Todd Morgan who rose through the ranks at EPE. I would never disclose the specifics of our conversations but he respected my opinion as I did his. Over the past few years we have lost so many of those who Elvis; loved, worked with, befriended, trusted, etc. With each passing day the remaining members of the Memphis Mafia, as we all do, grow older and the loss of their friend (i.e. Elvis Presley) never…diminishes. There is no doubt that they, individually and collectively, loved Elvis and carry with them regrets. I have always believed that events in ones’ life, or a series of events, should ALWAYS be put in context. That people can disagree and yet respect one another. That loving, and caring for, our “fellow man” is not just applicable to those nearby or that we are related to or that ended up on the right side of a position. I have had the utmost respect for Elvis’ charitable endeavors and I am proud to know that you, Lisa Marie, have carried on with giving of your time – your heart – and monetarily. I ask you now, Lisa Marie and EPE, to please consider that (literally) millions of Elvis Fans Worldwide would like, as would I, to see each member of the Memphis Mafia (i.e. Marty Lacker, Billy Smith, Red West, Sonny West, and each member of their immediate family, etc.) formally recognized – appreciated – respected – and embraced by you and EPE. I ask this not because of any “gain” on my part but that time is never guaranteed and that there needs to be true healing between the parties (publicly and privately). I wish that you never had to grow up without your Father. I wish that God had granted Elvis more time so that he truly knew how much he meant to all of us…and future generations. That he was given time to heal (physically, mentally, emotionally, etc.). That he was able to spend more time with you. That he was given the respect, and appreciation, he earned and deserved from the “critics” and “award nominating agencies”. Some of my most cherished photos, of your Father, is not him onstage but reaching out to hold a child – visiting children in a hospital – bringing a little blind girl onstage – smiling while hugging a child with cancer – and/or kissing an elderly woman and thus bringing an immediate smile to her face. These “acts of kindness” come from the heart and Elvis had, among other things, a huge heart and the world was better off for it. I have always stated that there is honor in kindness – honor in forgiveness – and honor in giving others another chance. In accordance with these genuine gestures I now have authored this open letter to you. I have lived long enough to know the beauty of a simple gesture and that small steps can lead to honest dialog and communication. This is what I hope, and wish, for…now. In closing, I will continue to wish you, EPE, and each of your family members nothing but happiness and success in all of your endeavors.